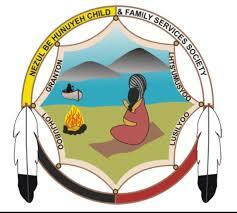 Our mission is to empower Tl’azt’en nation members to choose a healthier lifestyle by providing holistic health programs which encourage their spiritual, mental, emotional and physical well being. Young Father’s Support Group: Working towards a healthier tomorrow. Camping outdoors and winter activities such as trapping, snowshoeing, cod fishing, setting nets under ice for char, and hunting, all for cultural knowledge, education, management and for the most support for fathers year round experiences. Building shelters, trapping, building caches (for food storage), fishing, clearing grounds and trails help fathers that need help in all ways, including spiritually and physically. Young Fathers also learn about traditional food cooking, edible birds and various edible animals and berries. If you don’t want to talk to any other member, we are here if need be. Everything is kept confidential.